The North "A" street lot will provide a front-door parking area for library visitors. 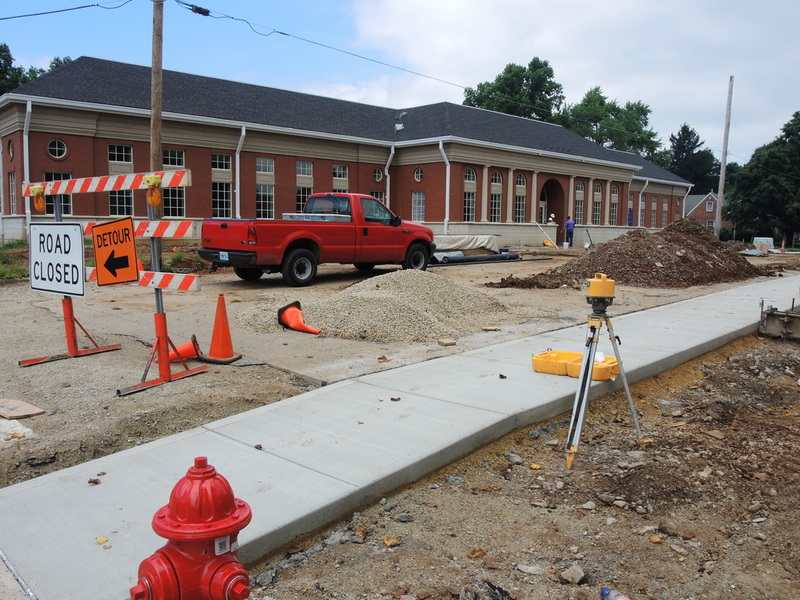 July 23 -- Workers have been rushing to complete the new parking lot on North "A" street facing the front entrance to the new library building. 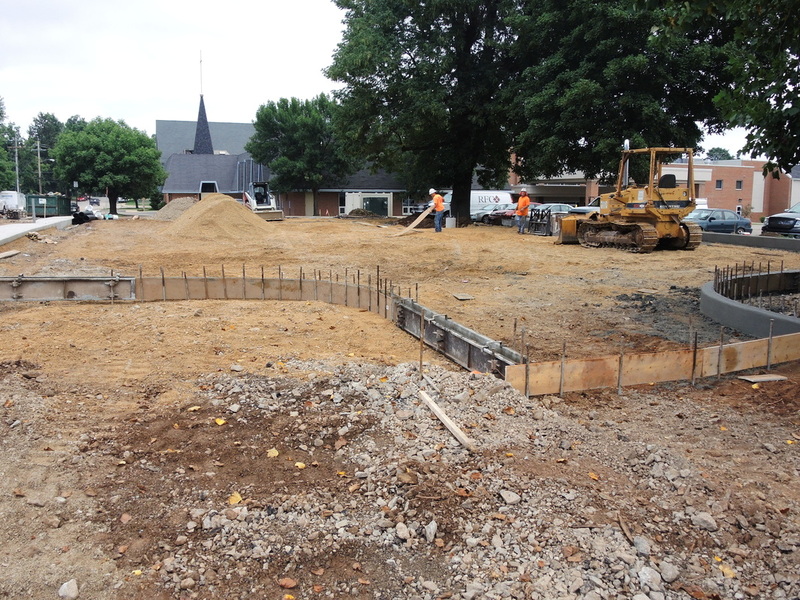 The lot (rented on ground provided by the First Baptist Church at $1 a year) will account for one of the library's three parking areas designed to accommodate a total of about 80 parking spaces. The month of August will be a busy one for the library staff as finishing work is still needed for both the exterior and interior of the building. In addition, most items now located at the present library building will also have to be physically moved to the new facility. Nevertheless, a city official interviewed by a Post(note)-Dispatch cub reporter believes that all will be completed in time for a grand opening around the first of September.